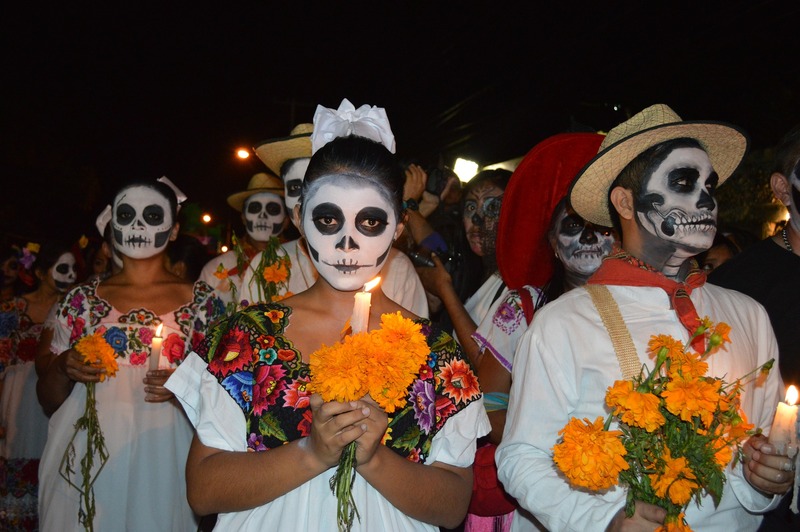 Often misinterpreted as the Mexican version of Halloween, Día de los Muertos is anything but spooky or scary, let alone related to zombies or goblins. Others may confuse the holiday for a celebration of death. And while death plays an integral role in the celebration, the holiday itself is about honoring the lives of those who have passed, remembering all the good times spent together in life. Día de los Muertos originated several thousand years ago with the Aztec, Toltec and other Nahua people. The celebration comes from the belief that mourning the dead is disrespectful. For these pre-Hispanic cultures, death was a natural phase in life’s journey. The dead were still family, kept alive in memory and spirit. But on Día de los Muertos, those spirits return to earth to come together once again with their loved ones. Día de los Muertos spans across a two-day period: November 1 is considered Día de los Inocentes or Día de los Angelitos, a holiday to honor deceased children; adults who have passed away are remembered and honored on November 2, or Día de los Difuntos. Throughout these two days, spirits are guided home to enjoy offerings placed on crafted altars -each offering representative of something the deceased enjoyed in life. However, it wasn’t until a few years ago that Día de Muertos became somewhat known in the United States. This is partly due to movies like 20th Century Fox’s The Book of Life and most recently, Disney’s COCO. Although Disney initially sought to trademark the phrase “Día de los Muertos,” the media company eventually made the right decision to conduct research, meet with subject matter experts, and engage a cast that was authentically culturally-relevant to its target audience. It goes without saying that the movie made money moves among the Latino community, but it also created awareness around the celebration among individuals from other ethnic backgrounds. 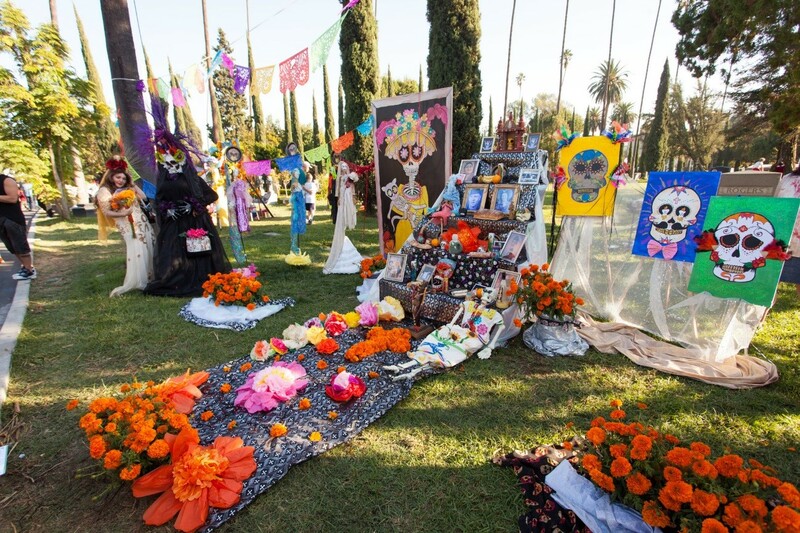 Even Spotify’s recent takeover of California’s Hollywood Forever Cemetery at the L.A. Day of the Dead Festival shows how this cultural tradition is taking over places across the United States. 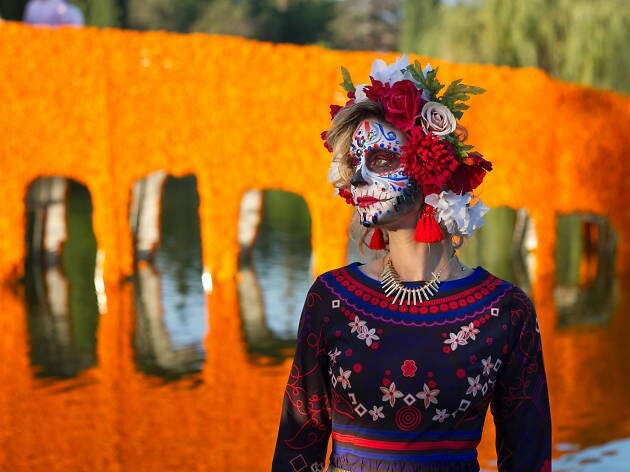 Most notable was Spotify’s sponsorship of a bridge dedicated to the late Jenni Rivera covered in the traditional Día de los Muertos flower, cempasuchil (marigold). Spotify will also feature Día de los Muertos playlists titled Calaveritas (skulls) dedicated to artists that have passed away. As Día de los Muertos continues to spread far and wide, we also invite you to take part in the celebration in your own home. Whether it’s building an alter dedicated to your loved ones or watching a movie with your kids –we hope that you expand your horizon into learning more about this tradition held so closely to many Latinos’ hearts. Daniela Chavez Lira is a Senior Account Executive at FCG.